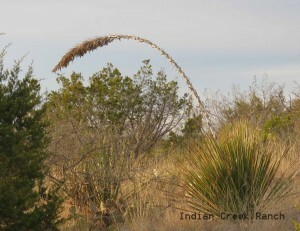 We are working on putting together a plant guide specific to Indian Creek. This is one of a series designed to help us all become familiar with our plants. 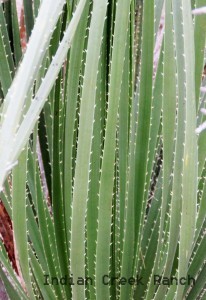 Sotol is one of the plants that is easy to recognize, with its saw-toothed leaves and 10-foot-tall flower stalks. 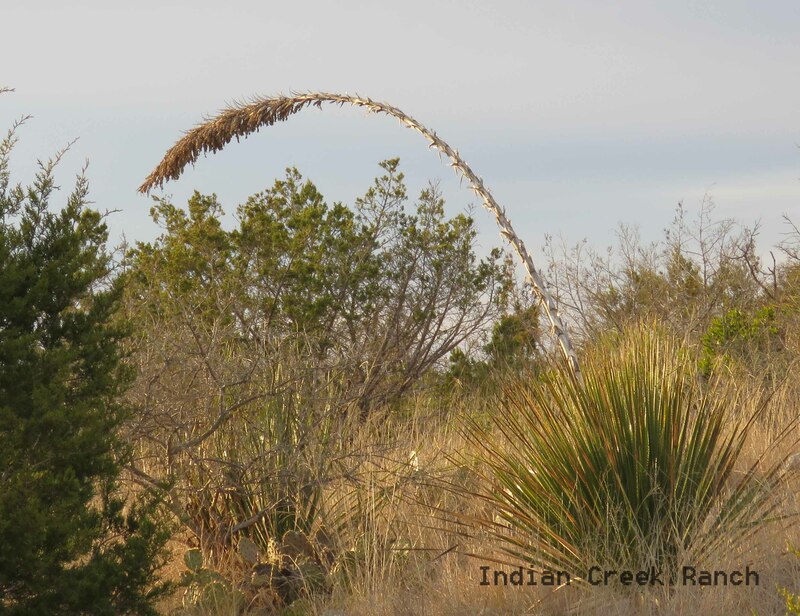 However botanists are still not in agreement as to which plant family it belongs in – some place it with the agaves, and some with the nolinas (bear grass), and the Lady Bird Johnson Wildflower Center puts sotol in the lily family. Some of my research sources said that it blooms every year, and others said it blooms every 2 to 3 years. 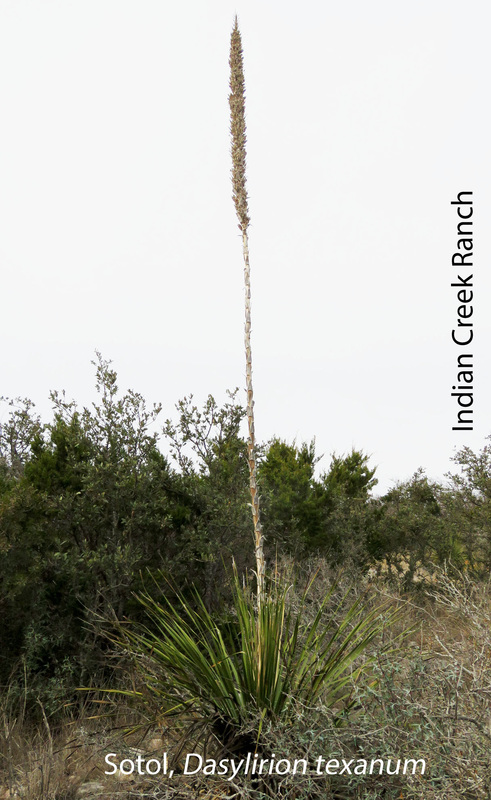 However, there are 20 sub-species in northern Mexico and southwest Texas, so maybe that contributes to the conflicting information on the plant. An article from Texas Highways magazine says that the Hill Country subspecies is Dasylirion texanum. It would be interesting for us to watch for blooming patterns, and see if all the plants here bloom on the same schedule. 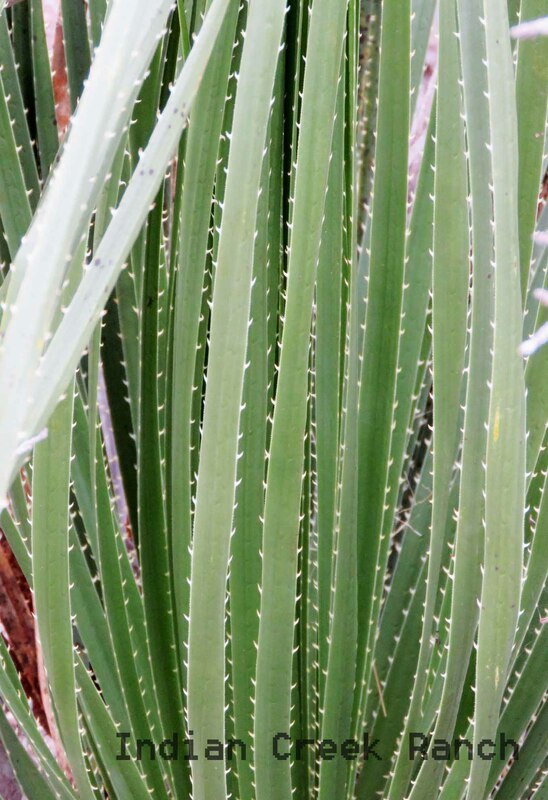 Regardless of differences between sub-species, sotol was an important plant for Native Americans, with useful leaves and edible hearts. You can read more about its uses in history here. And today, it is used to make a liquor similar to tequila!